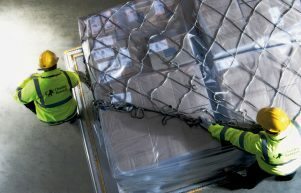 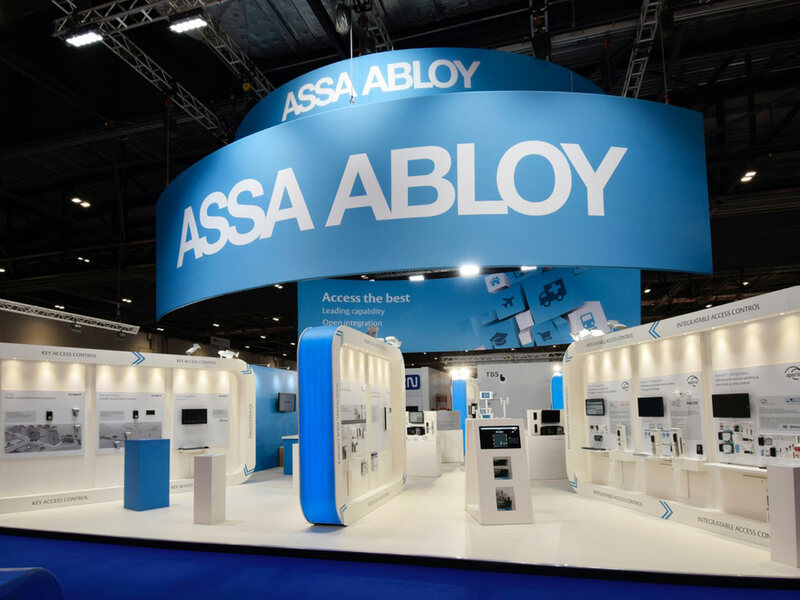 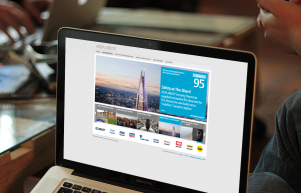 Getting your message across at a busy exhibition is not easy – that’s why ASSA ABLOY asked us to come up with an exhibition design and theme to demonstrate their huge range of products, and the unrivalled level of integration between those solutions. 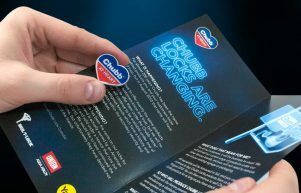 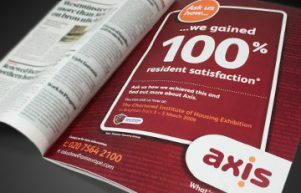 Take a look at this movie to see how we did it – creating a striking theme for the exhibition that grabs the attention, and applying it to a range of support materials that appeared on an impressive 16 x 12 metre stand. 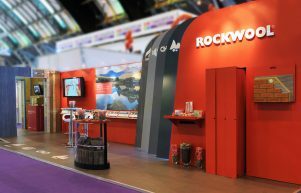 The explosion of icons creates a strong visual image which was then carried onto the stand itself, featuring a field of iPads and an interactive brochure – as well as movies, adverts, promotional items and e-marketing. 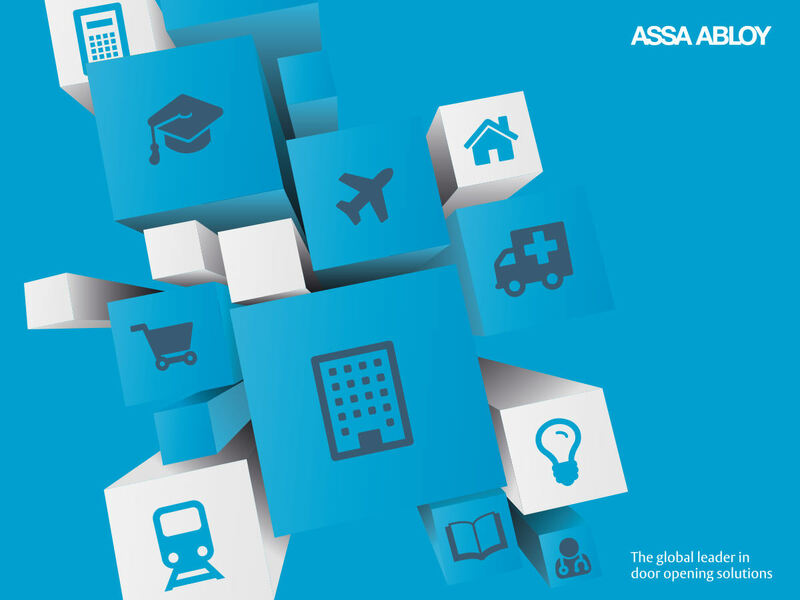 ASSA ABLOY are the global leader in door opening solutions, and our exhibition design featured world-famous brands such as Yale, UNION and Mul-T-Lock. 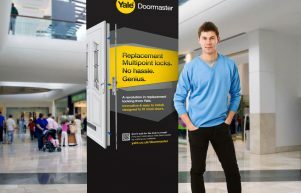 The stand was a great success in the UK and was re-used for the following year, and we were also asked to create a modified version for use in the group’s Asia-Pacific region working in Chinese and Korean.